Like the NES Classic before it, the SNES Classic has been frustratingly difficult to get ahold of. It has been selling out almost instantly every time stores get it back in stock. 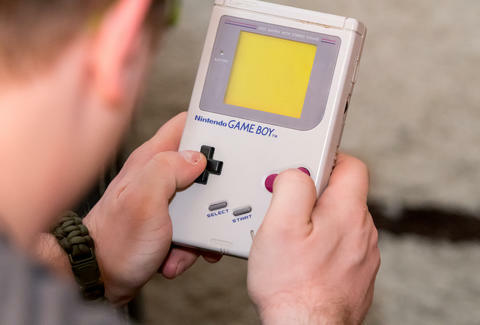 Nonetheless, the popularity of both consoles has led to more than a little speculating that Nintendo could continue to release retro consoles. Importantly, Nintendo hasn't even hinted at the possibility of either. Though that doesn't mean it won't happen, and it won't stop people from looking for the slightest hint that these could be in the pipeline. Currently, Nintendo is still putting out the SNES Classic. After it stopped producing the NES Classic in April, it announced there would be more SNES Classics coming out and next summer it will resume production of the NES Classic for a limited time. If there's any truth to speculation about a Game Boy Classic or an N64 Classic, it's unlikely it would hit shelves until after the next round of NES Classics is released in summer 2018. If it happens, it may need instructions for kids who might struggle with its lack of touchscreen.